Christina Kapp began her career in book publishing, working for William Morrow as an editorial assistant and publicist. However, she has spent the bulk of her professional life in higher education, working for Johns Hopkins University and Columbia University, Teachers College. She earned a M.A. 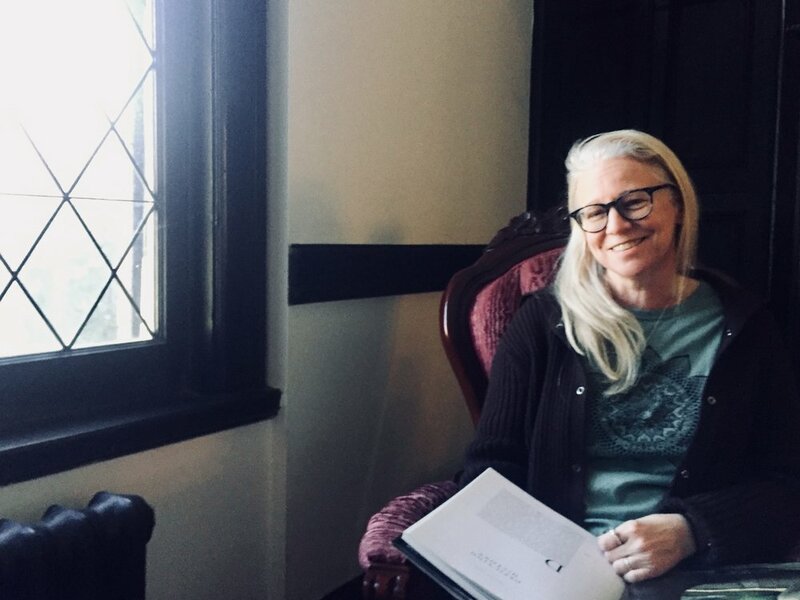 in writing at Johns Hopkins and since then has published her prose and poetry in dozens of publications including Passages North, Serving House Journal, Poetry Quarterly, Storyscape Journal, Pithead Chapel, Anderbo.com, Gargoyle, Blue Lake Review, and PANK. Her work has been nominated for Best of the Net Awards in both fiction and creative nonfiction. In 2012 she earned a second M.A. in literature from Rutgers University—Newark, where she currently teaches composition in the Writing Program. She also teaches creative writing at The Writers Circle in New Jersey, running workshops in short fiction, poetry… and whatever else her writers want to write! Whether in composition or creative writing, she loves helping new writers find their voice. She lives in New Jersey with her husband and two teenage daughters. If you’re a writer, I would love to work with you! I am available as a writing coach, editor, or tutor (high school and above) and I look forward to speaking with you about your project and your needs. If you are a college-bound high school student, I am also available for consulting on college applications and essay writing. If you are New Jersey-based writer looking for a wonderful writing community, I encourage you to consider trying a workshop or class with The Writers Circle Workshop. I teach in Summit, NJ, but they likely have a workshop that fits your schedule in a location that works for you. Find and follow me on Twitter and Facebook. I’d love to see you there!